For Richard Barajas, home is what you make of it. But for the first time in a long time, he and his four kids are going home to an actual house -- a four-bedroom duplex in Lakewood. For Barajas, it's a mansion compared to the motel room he and his kids shared on West Colfax. Out of work with a physical disability after 20 years at an ice company, it was the best he could do at the time. "At least we were together," Barajas said. “There are a lot of people out there who were a lot worse off than us. That's what kept us going. At least we had each other. Some people don't even have that." But living at the motel was not easy. "There was suffering and sadness all around us. It was just bad. There might have been drug activity going on. We kept to ourselves. I think people saw that we were a tight-knit family and that we treated everyone with humility, so people let us be," Barajas said. They survived. And after four years, they were given the opportunity to thrive. Barajas got a life-changing acceptance letter from Metro West Housing Solutions (MWHS) that said his household qualifies for the Housing Choice Voucher (HCV) program, commonly known as Section 8. Names are chosen in a lottery system. Some people might wait years for their name to come up. Barajas waited about four years for a voucher. Art is more than decoration. It has the power to change minds, foster dialogue and create connections. Although most people enjoy art—not everyone has the means or ability to engage in art experiences. That’s where thinking outside of the museum comes into play. 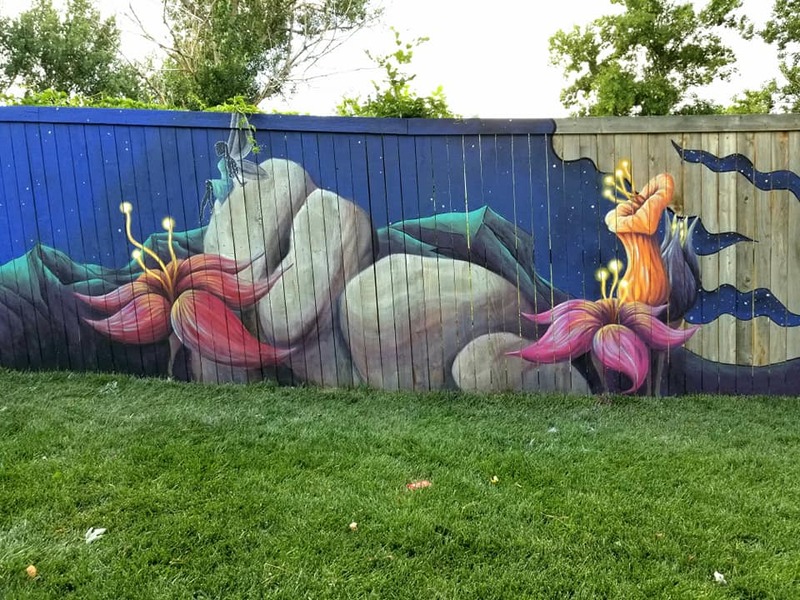 Murals and community art projects are a couple of ways that everyday people can have a relationship with the arts. Although most people might not associate the arts with survival, it can have a profound impact on quality of life. Enjoying the arts – both as a spectator and as a creator -- has been linked to improved mental and physical health. Community arts projects in particular have been linked to increased healthy eating, physical activity, and well being among participants. ​When most people think of Colorado, a few things come to mind: skiing in the majestic Rocky Mountains, enjoying one of its 350 breweries or maybe its Gold Rush and Wild West heritage. 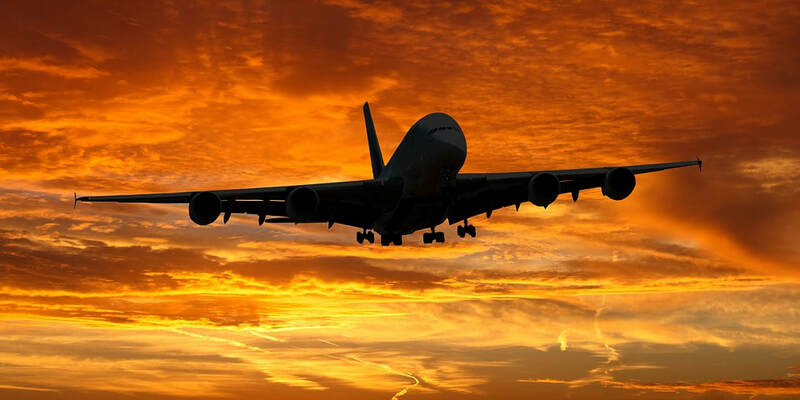 People might not know that Colorado is an aerospace hub, home to 400 companies and 25,000 employees in the industry. Some of the industry’s biggest names — Ball Aerospace and United Launch Alliance — as well as dozens of start-ups — are headquartered here. But despite a soaring aerospace industry, Chuck Stout is a little worried. Interest in the field at the roots of the aerospace industry — aviation — is “losing altitude” among youth in the United States. Diane Silcott never learned how to ride a bike. Silcott grew up on 16th street in Denver — a bustling corridor long before it was designated a pedestrian mall in the 1980s. Her parents worried that she’d get hurt. As the years passed, Silcott never got around to learning. Silcott, 78, now lives at the Residences at Creekside in Lakewood, a Metro West Housing Solutions (MWHS) senior community. She recently experienced what it’s like to explore her neighborhood by bike on a summer morning — sun shining, flowers in bloom and the wind in her hair. The trishaw Silcott is referring to is a three-wheeled, pedal-powered bicycle with electric assistance that allows two passengers to sit in front while a volunteer cyclist — called a pilot — pedals behind them. What makes the trishaw unique is that it gives passengers a similar experience to riding a bike — facing forward with an unobstructed view. ​The right to feel the wind in one’s hair is the philosophy of Cycling Without Age, a movement to get seniors back on bikes and out in the community again, regardless of their physical abilities. It began six years ago in Copenhagen — arguably the cycling capital of the world. Since then, it has spread to 40 countries worldwide. Now, it’s in Lakewood. Gary Harty, founder of the Lakewood Bicycle Advisory Team, learned about the program while watching a TEDx Talk by Ole Kassow, the Cycling Without Age founder. What particularly moved Harty was hearing about the experience of Sigrid, 90, who joined an ambitious trek from Copenhagen to Germany with 10 trishaws and 20 senior passengers. During the trip, Sigrid stood up during dinner and told her travel companions that she hadn’t been on a vacation in 15 years and that it was the best trip of her life. A Creekside resident admiring community gardens. When it comes to affordable housing, people tend to have a lot to say. It’s the kind of open and honest dialogue we need to tackle a growing affordability crisis. But we often forget to bring another very important voice into the conversation: our kids. 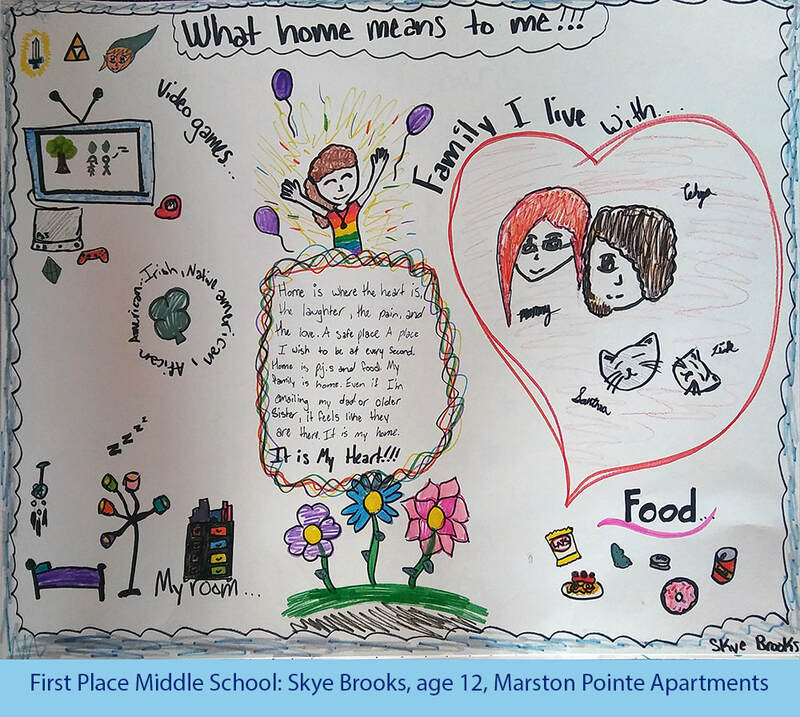 NAHRO’s annual “What Home Means to Me” poster contest invites children who live in affordable communities around the country to share their thoughts about home and the role of affordable housing agencies. 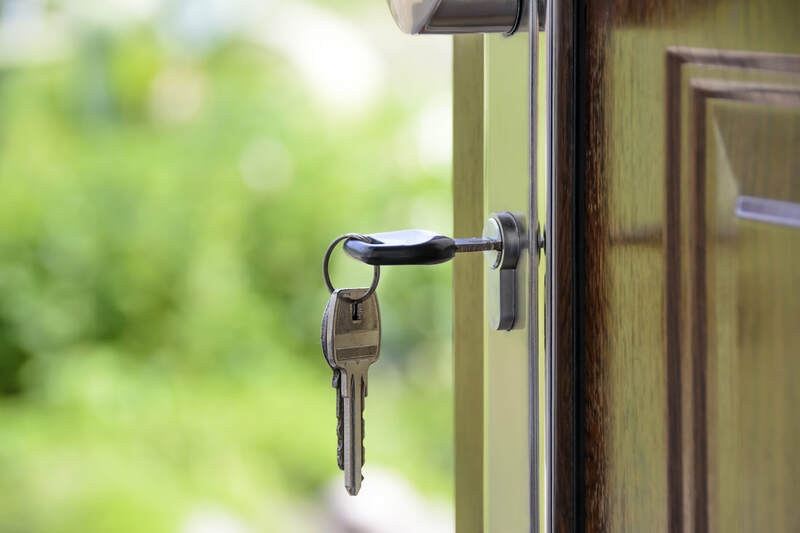 It’s an important part of the NAHRO Housing America campaign, which aims to raise awareness of the need for safe, high quality, affordable housing through education, advocacy, and empowerment. Kids, of course, do not have all the answers. They don't have the wisdom that only comes with age. But there are other reasons to listen to the smallest voices in the room, too. Year over year, the entries in the poster contest point to a few things: Kids see things differently than adults. They break down problems and solutions into simple parts. They often highlight things that adults take for granted. Their words and images are often bright and full of optimism. MWHS encourages kids at our properties to participate in this tradition and to get a chance at national recognition and prizes, as well as inclusion in NAHRO's annual calendar featuring poster entries. This year, MWHS received a dozen entries from children who live at our properties. An MWHS panel of judges selected the entries shown below to represent the agency in the statewide competition -- showing great effort, detail and thoughtfulness in their approach to the project. For the experienced patient, a visual acuity test—or what’s thought of as a basic eye exam—is a pretty straight forward procedure. You stand where the doctor or nurse asks you to. Then, you’re told to begin reading random letters of varying sizes on a chart, one eye at a time. But if you’ve never had an eye exam before—the chart can look like a confusing mess of alphabet soup. You maybe wouldn’t know which side of the chart to begin from, or whether or not you’re supposed to read the letters individually or to try and form words. 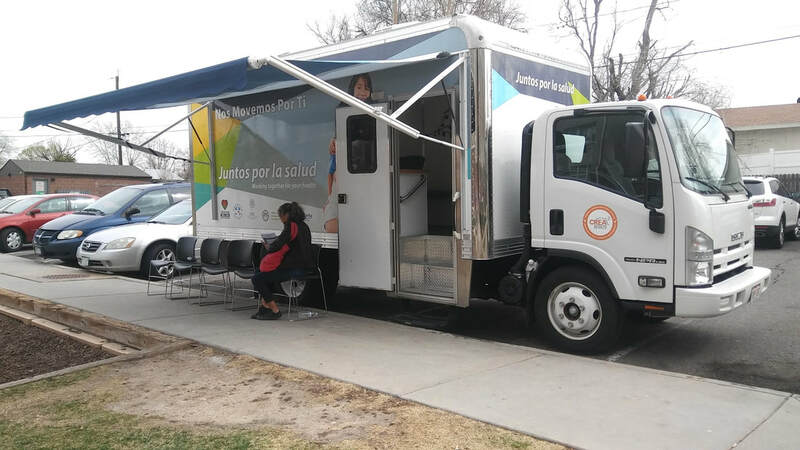 These mix-ups are not uncommon at mobile health and wellness clinic events, which aim to reach the state’s most under-resourced and under-served residents. According to the Henry J. Kaiser Family Foundation, 12 percent of Colorado adults reported not seeing a doctor in the past year because of cost in 2016, the latest data available. Healthcare can feel out of reach for people who are cost-burdened, work odd hours, or don't have insurance. A lack of child care, transportation or an established relationship with a doctor are other barriers that can get in the way. The solution? Bring healthcare to the people. Kathy Ross, an artist, says gardening is a creative process. Perhaps these words couldn’t be truer for former Metro West Housing Solutions’ (MWHS) resident Kathy Ross. The 66-year-old said that finding her green thumb while participating in the community gardens at Lamar Station Crossing partly inspired her to pursue her long-time dream to purchase a home—and a garden—of her very own, for the first time in her life. “Owning my own home has been on my bucket list. I tried a couple of times over the years and couldn’t make it happen,” she said. This time, though, all the pieces fell into place for Ross. She just purchased and moved into a single-story bungalow in Pueblo, Colo., in a neighborhood brimming with historic and unique homes. Ross, who is a visual artist, said her new home has a large yard—a blank canvas waiting to teem with flowers, fruits and vegetables come spring and summer. 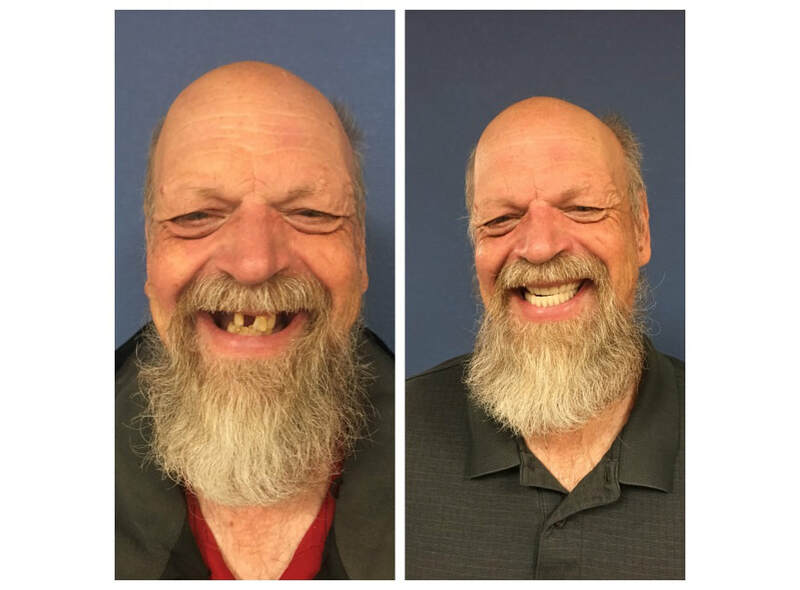 Before and after: John Vasu says he loves his new smile. ​Imagine reacting to a funny joke, meeting someone new, or posing for a photo – all while trying to hide your less-than-perfect smile. That’s the reality Metro West Housing Solutions (MWHS) resident John Vasu found himself in. Like many, Vasu developed a fear of the dentistry of his childhood that followed him into adulthood. Avoidance of the dentist’s office led to significant oral health issues in his later years. By the time he turned 65, he had lost most of his teeth and was suffering from a painful infection in his gums that made it difficult to eat. Vasu, a MWHS Maplewood resident since March 2017, got to know the Metro West Housing Solutions (MWHS) resident services team and began to open up about the oral health issues he was living with.